I still discovered some bugs, but SmartGate the Game 2 has been released. After almost 16 months of talking, looking for the main problems around air cargo and in the offices of all stakeholders, IJsfontein delivered game 2 and my job as a consultant is done! The first game was all about transporting cargo from shipper to airplane. Game 2 of the SmartGate project takes this a little bit further and brings more detail to the playing field. 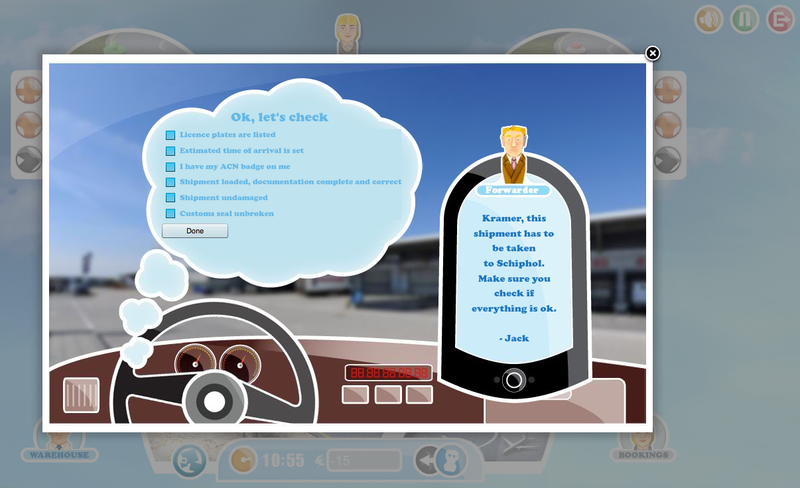 It let’s you experience the possible effects of your actions in a virtual logistic air cargo game. My first thoughts at the time where that the ‘final’ game of the SmartGate project would be a sort of RUSE / Sim City / Logistic Tycoon in an air cargo environment where the player needs to build up a solid business (like the game ‘Jones’, if people remember the 90’s). 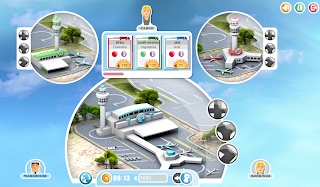 The main purpose of the game is to manage your air cargo business in a efficient, safe and reliable way. This means that, depending on the sort of cargo, it’s destination and the reputation of the trucker, you make decisions to either do the job or don’t and if there is a risk involved, that you manage that risk to your best ability (e.g. either employing specialist staff or having each shipment checked by Customs). 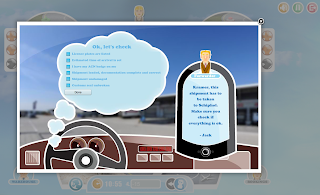 We also enclosed some minigames in the so-called ‘e-learning’ section where we challenge players on specific knowledge about exceptional situations and dilemma’s. Besides this, we also included a badges system. 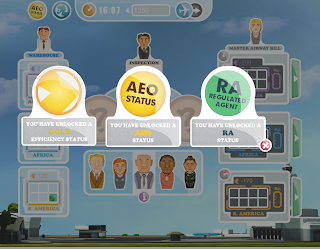 The more efficient you are (planes leave the airport 100% full) or if you always check your cargo, you will receive badges and upgrades. The best thing to have in Air Cargo is an AEO status (Authorized Economic Operator) which means you are a reliable party within the chain. And of course there is a leader board where you can check your score. I challenge everyone to play the game and let me know what you think! The results of the first game where quite impressive by the way. There are about 2.000 people active in the Air Cargo sector around Schiphol airport and almost 1.300 of them played the game! That’s almost two-third of all people in the sector. 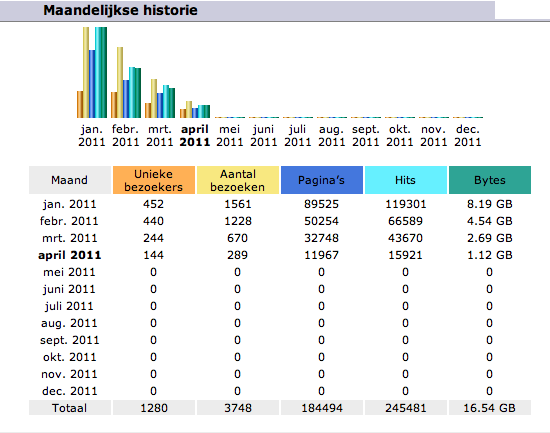 Apart from that we had 3.700 visits in four months time and a total of 184.000 page views! >Did you see the Fiat Ecodrive system? Check the video to see how it works! There is even a ‘EcoVille’ (comparable to Farmville in a way 😉 where the top 500 eco-friendly drivers are listed! 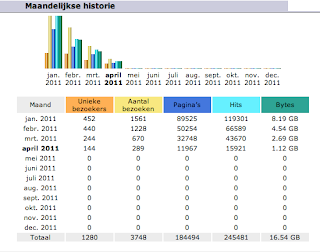 You can compare your results to friends, your country and even the world! This is a FANTASTIC example how we can all try to save our planet using playful solutions! 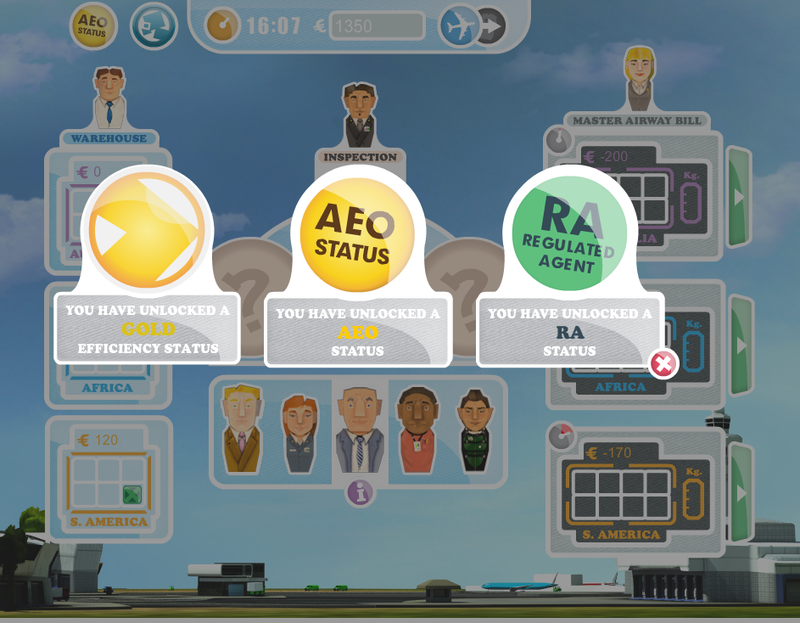 Long live the Gamification of Society! More examples are featured in my book ‘A Brand New Playground’.